Business Card for C. Illina, Haute Couture, Paris. 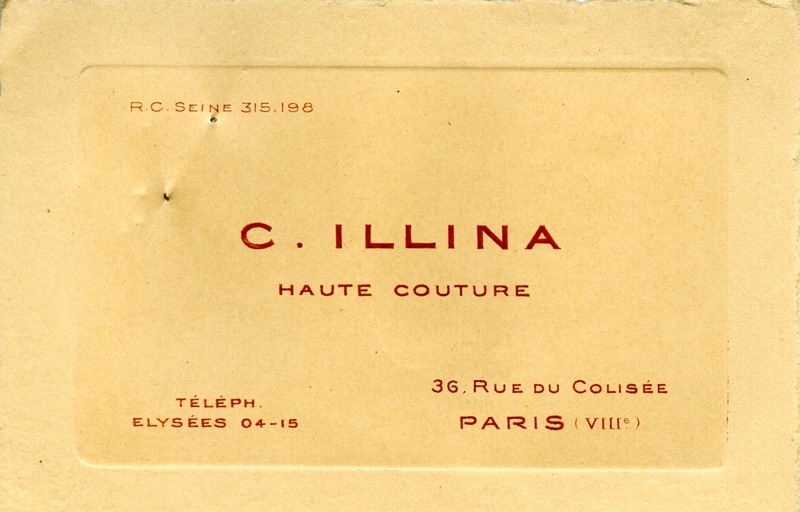 C. Illina, “Business Card for C. Illina, Haute Couture.” Martha Berry Digital Archive. Eds. Schlitz, Stephanie A., Sherre Harrington, et al. Mount Berry: Berry College, 2013. accessed April 19, 2019, https://mbda.berry.edu/items/show/12955.